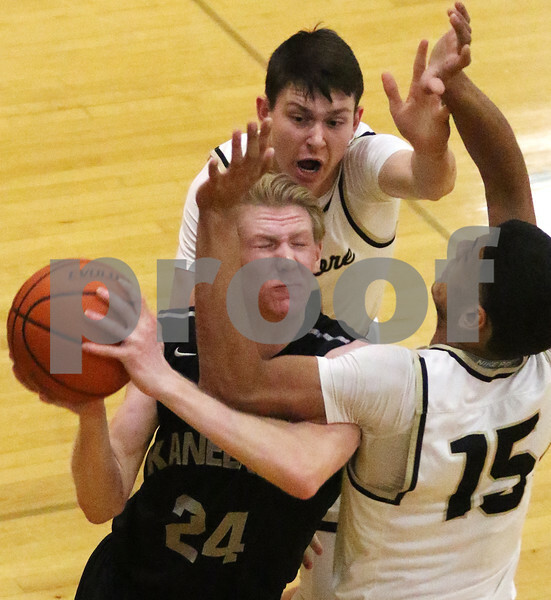 Dan Franck of Kaneland, left, gets fouled as he attempts a shot past Sycamore's Keyshawn Stallworth, right, and Jack Mizgalski, back, during their boys basketball regional final on Friday, Mar. 3, 2017 at Sycamore High School in Sycamore. Sycamore won the game 37-36 in overtime.